The new prose style that he introduced is vibrant as well as vigorous with words carefully chosen from the common living speech of villagers and deftly put together for expressing abstract ideas or delicate feelings. His pioneering work and writings on the tribals of Orissa is widely recognized and has placed him as a front rank anthropologist; he had a stint as an Adjunct Professor in Anthropology in San Jose State University (1988), USA. The Government of India conferred on him, ‘Padmabhushan’ (1981) in recognition of his extraordinary contribution to the field of literature. 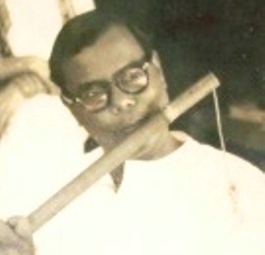 Born on April 20, 1914, in Nagabali, Cuttack, Gopinath Mohanty held an M.A. degree in English literature with a brilliant academic career all through. He joined the Orissa Administrative Service in 1938 and retired from the service in 1969. During his early posting in the Koraput District as an administrator, he came in close contact with the tribals (‘Kondh’ and ‘Paraja’ primarily) and took a special interest in learning their languages and life-style. Some of his major creative works of this time deal with the tribal life and society. It is amazing that a fiction of the genre of ‘PARAJA’ had been completed when Gopinath was barely twenty nine; and four years later, his monumental novel, ‘AMRUTARA SANTANA’ was created. His serious literary activities that began in 1934 spanned over 55 years. 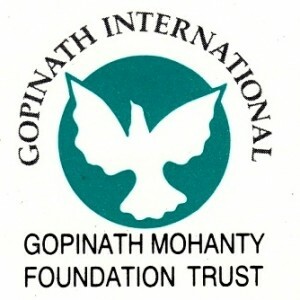 Gopinath’s creations in print include 24 novels; 12 collections of short stories ( numbering over 300 short stories ); one anthology of poems; 2 biographies in Oriya (3 volumes) one auto-biography; 3 plays; 2 critical essays; 5 books on tribal language and culture; 7 translations into Oriya (including his Soviet Land Nehru Award winning translation of Gorky’s ‘My Universities’; Tolstoy’s ‘War and Peace’ and Tagore’s ‘Jogajog’); one biography in English, as well as a number of scholarly essays relating to old palm-leaf manuscripts of Oriya Mahabharata. Gopinath Mohanty was a scholar of rare capability; for instance, his research articles on Sarola Dasa’s Odia MAHABHARATA have opened new dimensions of this magnum opus, particularly with regard to the time of its creation ( not 15th. but 10th. century according to Gopinath ). Gopinath was an avid reader; His reading interest spanned a wide spectrum, both in terms of language (including Sanskrit and a number of other Indian languages ), as well as themes ( from religion to psychology, from fiction and poetry, to books on science and medicines ). He has left behind a large and rare collection of books & palm-leaf manuscripts. Four of his major novels including ‘PARAJA’ ( the other three being ‘Laya Bilaya’, ‘Dana Pani’ and ‘Dadi Budha ) have appeared in English translation, apart from one short story collection. The English version of ‘PARAJA’ has received rave reviews from the press in England and in India. With the passing away of Gopinath Mohanty in San Jose, California, on August 20, 1991 an epoch that witnessed a creative pursuit of the highest order came to an end. Simultaneously, a powerful voice for the underdog, the down-trodden and the exploited was silenced. However, Gopinath Mohanty’s immortal words of eternal optimism, “ …There is zest and taste in life, no death, no sorrow …” (‘Amrutara Santana’) will for ever continue to inspire millions all over.